Jurors in the "Lady in the Lake" murder trial have been sent home for the night at the end of the first day of deliberating their verdict. They were warned not to discuss the case with anyone else until they reconvene at Manchester Crown Court on Friday morning. 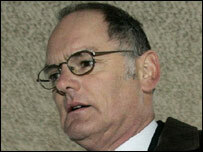 Retired teacher Gordon Park, 60, from Barrow, denies murdering his wife Carol with an ice axe in July 1976. 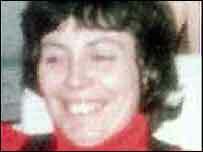 Her trussed-up body was found in Coniston Water by divers in 1997. The jury began to consider its verdict on Thursday afternoon after the judge had summed up the case. During the trial, now in its 10th week, the jury heard how Mr Park and his wife endured a stormy marriage. Mrs Park then aged 30, had enjoyed a string of affairs and left home twice to live with lovers before she vanished, the court has heard. Exhibits including the alleged murder weapon - an ice axe - a rucksack the body was found in and photos of the victim and her clothing have been placed in the jurors' room while they consider the verdict. Mr Park's third wife Jenny, his son Jeremy and daughter Rachel, along with other friends, were in the public gallery. The family of Carol Park, including her brother Ivor Price, sat a short distance away.